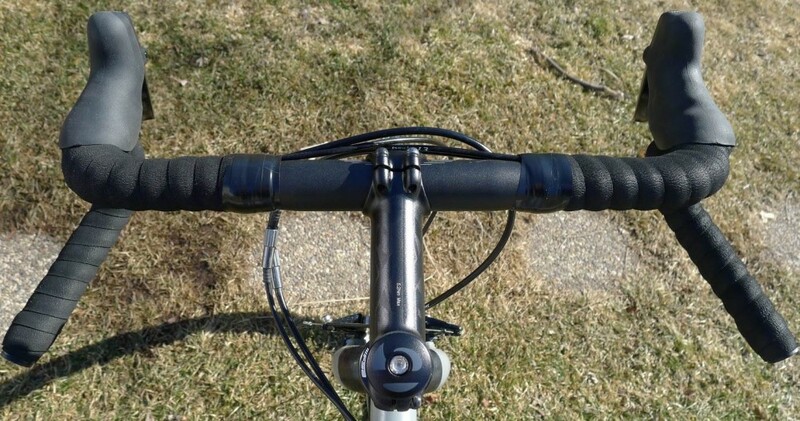 Handlebars have the ability to transform the way a bike rides. Wide handlebars increase the steering leverage to offer you better bike stability. Drop bars offer a lower and narrower body position which puts you in a more aero position. Handlebars with multiple hand locations allow you to switch it up, giving your muscles and joints a much-needed break on a long ride. Unfortunately, there is no perfect handlebar for everybody as shape is hugely personal – one ‘ergonomic’ bar may suit one rider but not another. 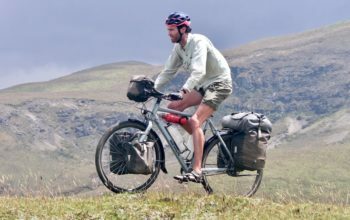 Most stock touring bikes are found with three different handlebar styles: drop bars, flat bars or butterfly/trekking bars. 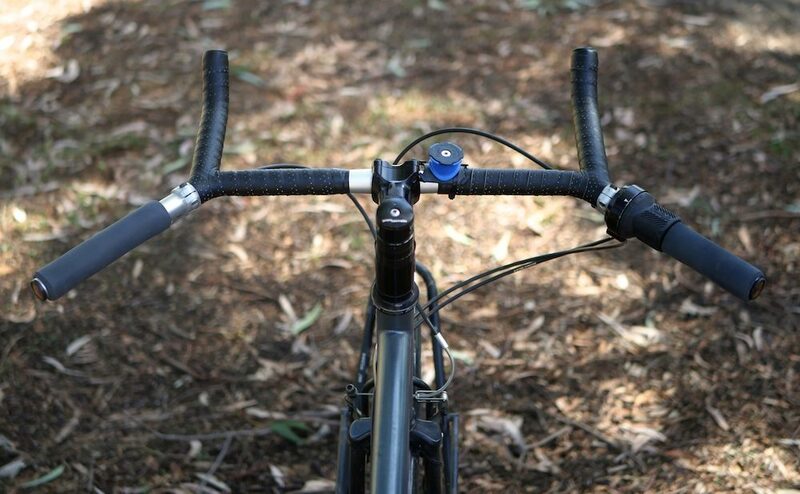 You can find out about these three handlebar styles including information on hand positioning, body posture, frame sizing and the bar shapes that suit beginners HERE. With lots of new alternative handlebar products becoming available, this is your guide to the different handlebar options. 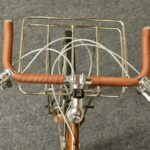 The Velo Orange Crazy Bar is a unique combination of a bullhorn and sweptback flat bar. The 40cm wide bullhorn section offers a narrower body position with your elbows tucked in, the centre portion replicates the ‘tops’ of a drop bar and the 45-degree sweptback main section wide for stability. After a few years on this bar, it’s my favourite handlebar for bike travel. The Crazy Bar is available in both aluminium and steel, the latter for off-road use specifically. There is also enough room between the bullhorns for a mid-sized Ortlieb handlebar bag. The Velo Orange Crazy Bar is US $60. 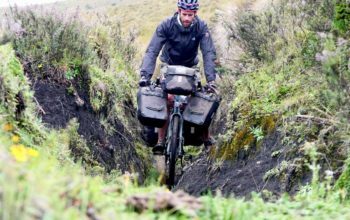 The Loop Bar design is great for bicycle touring because it offers near and far hand positions, as well as a long/wide 45-degree main sections for increased stability. The bar is excellent for strapping things to given its generous real estate, and without luggage, there’s ample room for mounting accessories like your lights or GPS. 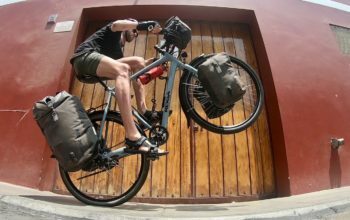 You won’t be able to mount a handlebar bag to this bar design; instead, check out the more specific Loop Bar bikepacking bags. That said, if you have enough spacers under your stem you can use a steerer-mounted accessory bar for mounting your handlebar bag. The Jones Loop are priced accordingly: US $80-120 (aluminium), US $295 (carbon), US $395 (titanium). The Hornbar is a backwards-swept flat bar, with built-in bar extensions. It offers three different wrist angles along the extensions, allowing you to take the strain off your wrists and stretch your body out. 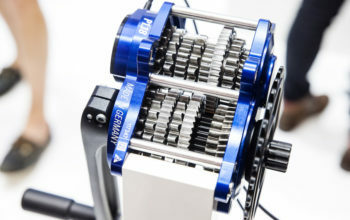 The Hornbar is almost a butterfly bar, however, it doesn’t reduce the overall reach of your bike like a butterfly bar will. It’s available in an adjustable folding model called the ‘AHS’, and a ‘comfort’ model with even more loop to the extensions. You can find the Humpert Hornbar as cheap as £10. 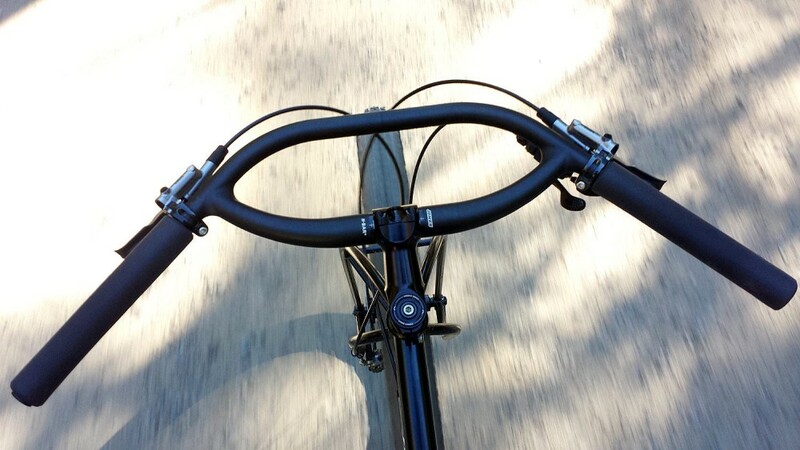 Sweptback handlebars like the Jones Bend are considered more ergonomic than a flat bar. 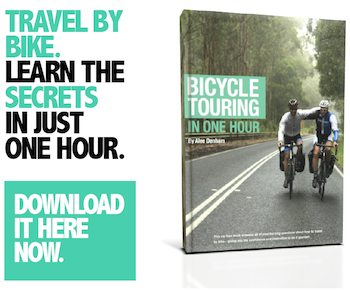 The theory is that if you relax your arms by your side, then lean forward into a riding position and lift your arms up naturally to where a handlebar would be – you would find your wrists at 45-degrees. There are lots of different options for sweptback bars with varying angles of sweep between 20 and 60-degrees. Jones Bend H-Bars work out at US $75. The Woodchipper flared road handlebars are wider than a regular road bar, as well as offering an ergonomic 25-degree sweep in the drops. 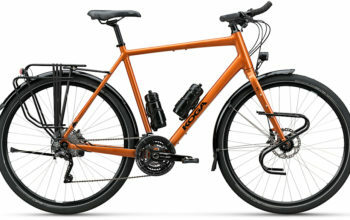 That makes them fantastic for off-road use when a bit of extra leverage is handy, and the flared design seems to provide additional comfort for most users. 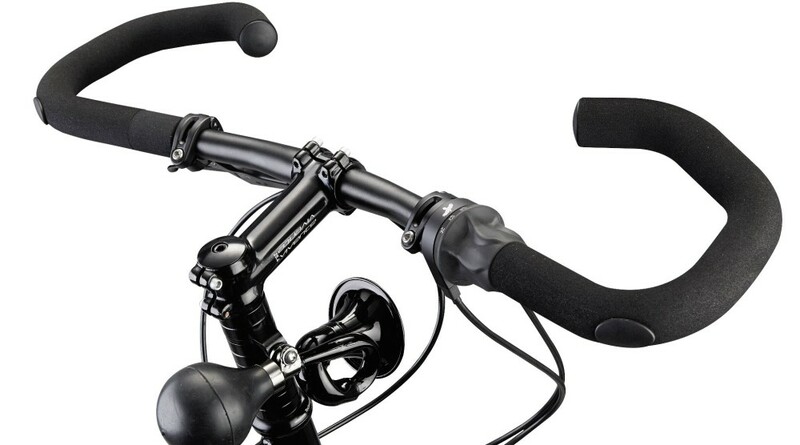 The Woodchipper 2 handlebars will set you back US $75. 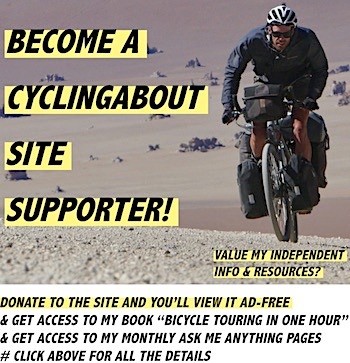 Want to overlay the handlebars listed above? 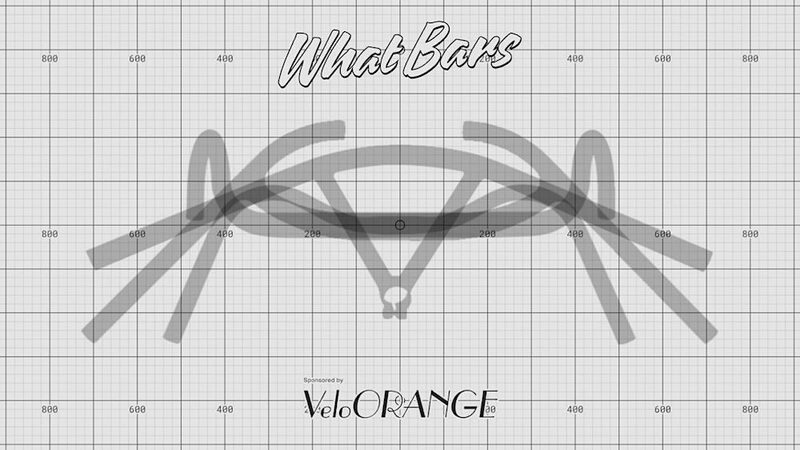 You want the WhatBars handlebar tool.